The five main aspects that go into making a community bike-friendly are engineering, education, encouragement, enforcement, and evaluation/planning. Think of the five E’s! Obviously traffic-filled streets don’t turn into peaceful, safe, bike-friendly streets overnight. Many communities don’t even know where to start when they are trying to create safe roads for bikers and walkers. Luckily, there is a Complete Streets Policy that can provide a starting point. Just like anything else, people won’t know about it unless you tell them. Educating communities on safe bike routes, traffic laws regarding bikers, and overall safety practices is important in getting your entire community to work together. Nothing happens without a little encouragement. Getting local bike shops on board is a great step to encourage your community to get outside and enjoy their bikes! The more people out in the streets, the more exposure your community will have to bikers, which will in turn will help bring awareness to the second E (education). 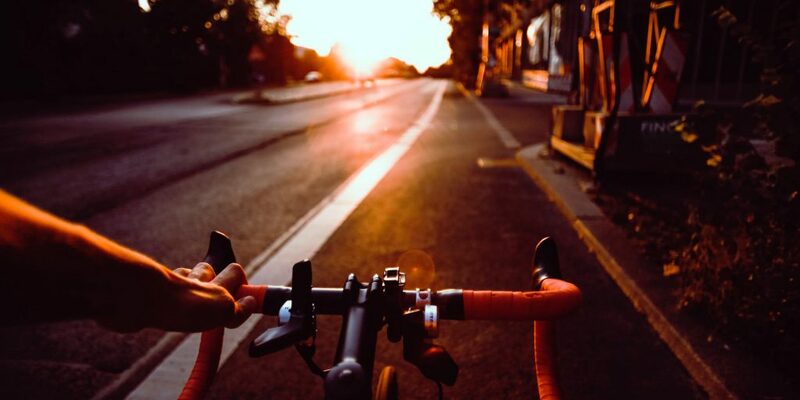 Once your community has embraced being bike-friendly and there are bikers cruising around town on the main streets, it’s very important to have traffic laws enforced in order to keep the bikers (and walkers) safe. Ticketing those who cut off or endanger bikers will help to minimize any threats bikers and walkers may face. It’s also important for bikers to obey traffic laws as well, ticketing bikers who run red lights or stop signs will also keep them safe. As the last step, evaluating the progress and planning for future improvements is how you make any program or initiative a success! Ideally, a committee would evaluate the previous quarter with regards to infrastructure, safety, and community involvement. Going forward they would make changes to ensure the program is always improving.